We are delighted to have Natasha from Forage Botanicals, guest posting for us today. Natasha is passionate in helping women have better periods through slow-and-simple living, natural cosmetics and botanical extracts. We are hoping she will shed light on this subject in which we women often just put up with. Over to Natasha, and her herbal wisdom. I’d like to think I’ve had some of the worst period pains going. I once turned green at work and had to sit down behind the shop counter because of the pain. Pain that bad, that all the blood rushes away from your periphery, towards your pelvis, and you go a refreshing greeney-white colour. It’s not a good look. But that’s what period pain can do to us sometimes. A few years ago, when I was planning for my wedding, I thought, hang on a minute, what if this happens on the day of my wedding? I’ll have to cancel it! I won’t be able to walk down the aisle! So I decided about 6 months in advance that I would do all I could to stop this from happening. I went and saw a herbalist who prescribed me a series of herbs to take to ease the pain. Within 3 months I was having totally painless periods for the first time in years. It was incredible. This herb is what I’d call my herbal ally. It’s what got me really passionate about herbs. After spending a few months into my gap year working at Neal’s Yard Remedies I had tasted most of the herbal teas we were selling. I didn’t know what they did but I worked my way through them never the less. At the time, I suffered with terrible lower back ache. I had no idea what caused it and no theories on how to relieve it either. So here I am, drinking Lady’s Mantle tea, only to discover that my back ache has gone. How strange! I couldn’t find any reference to it being used for back ache in the books. They just said that it’s used for period problems. Then it clicked, my back ache was always worst before my period. So perhaps the two were linked? 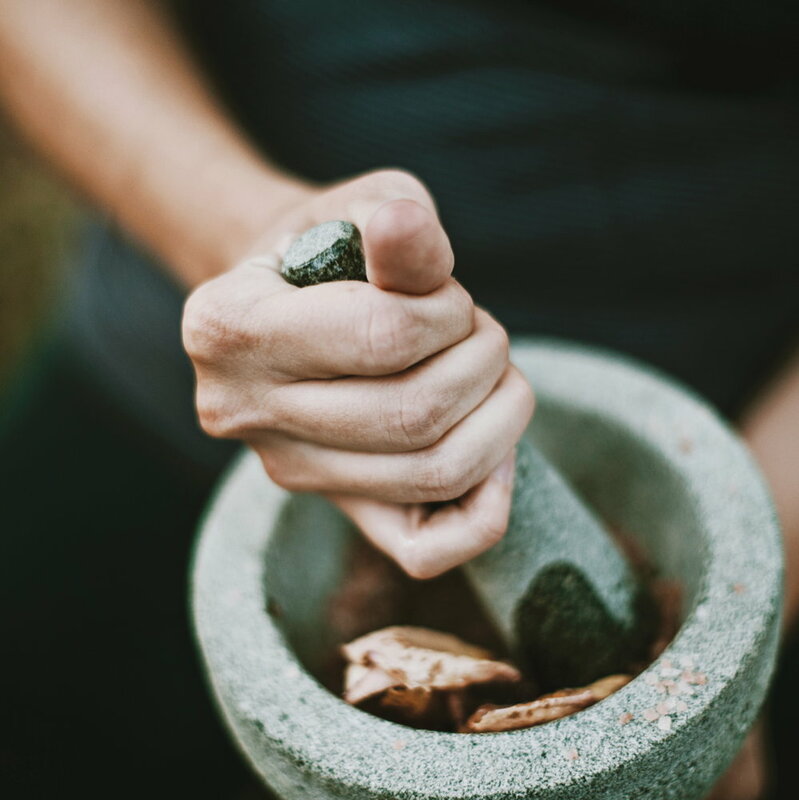 This was how I discovered herbs can treat the root of something, not just the symptom, and sparked my fire for herbal medicine. In researching this article I discovered something for the first time. Even after 3 years of training to be a herbalist and 7 years practicing… Lady’s Mantle contains Salicylates. These are the chemicals which are found in Aspirin - and help makes aspirin pain killing. So not only is this a wonderful womb-tonic helping women with heavy periods, non-existent periods, endometriosis, fibroids, leucorrhea and fertility. It also helps with period pain! Often when I tell people I’m a herbalist they think I mean I deal marijuana. Which I don’t (just to be clear). But walk into the clinic where I work at Middlesex University and you’d be forgiven for thinking we actually do. We have an Acupuncture clinic and they use something called Moxsa in treatments. It’s burnt to warm the joints and improve blood flow to the spot it’s being used. But it smells A LOT like weed. What it actually is, is burning Mugwort. Just like in Chinese medicine where it’s used to relieve painful periods and correct many hormone conditions, Western herbal medicine uses it similarly. We also use it for things like PCOS, heavy periods and PMS. It can also make you have pretty whacky dreams. It took me years and years of intention-setting, journalling and green-smoothie-drinking to figure out that stress makes my periods worse. My in laws are coming to stay this month, during my pre-menstrual phase, and I know it’ll be stressful. So I’ve already put things in place to de-stress before and after. Including daily trips to the gym to get some me-time while they’re here. Gym’s don’t mind you taking your laptop and work with you do they?! Passionflower helps you relax. I find it quite trip to be honest. If you’ve ever seen its flowers, you’ll know what I mean. I like to drink Passionflower when I need to be taken somewhere else, away from the daily grind. Somewhere that emails don’t matter anymore. It’s often used for sleep problems but I like to use it for all manner of cyclical issues. PMS is one thing that binds us women together. If it is not our hormones, then it is stress. If I can guarantee anything that’s true for all of us, it’s that stress makes whatever you’re dealing with worse. Granted, every women is different, and what works for me may not necessarily work for you. So it is always wise to seek the advice of a professional herbalist. If you are interested in learning more about the power of your natural cycle, the ebb and flow of female hormones and how to have a happier period. Natasha will be running a workshop at The Forge in Bristol on Saturday 14th April. Click on the button below to find out more. 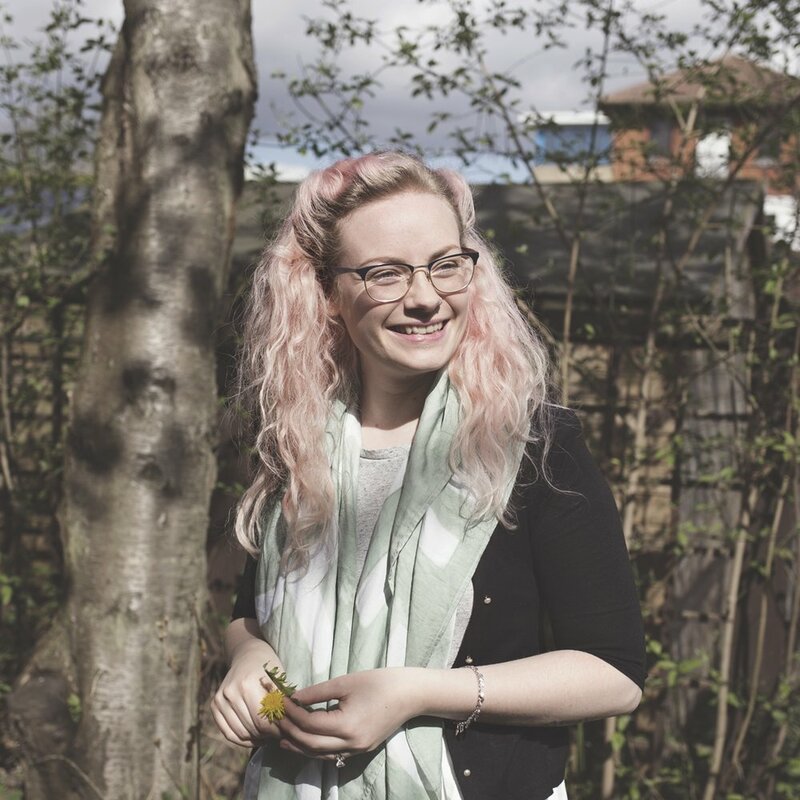 Natasha is a medical herbalist and specialises in herbal remedies and natural products to help women deal with the symptoms of PMS, endometriosis, PCOS and fertility.